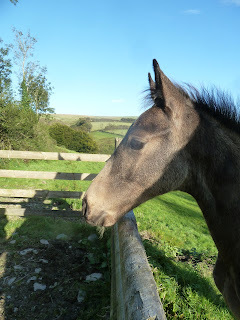 Charlie B has now been here for just oer 12 weeks and its time for an update. These photos are interesting - taken at the same angle on the same surface but telling very different stories. Above is day one, the lower photo is yesterday. 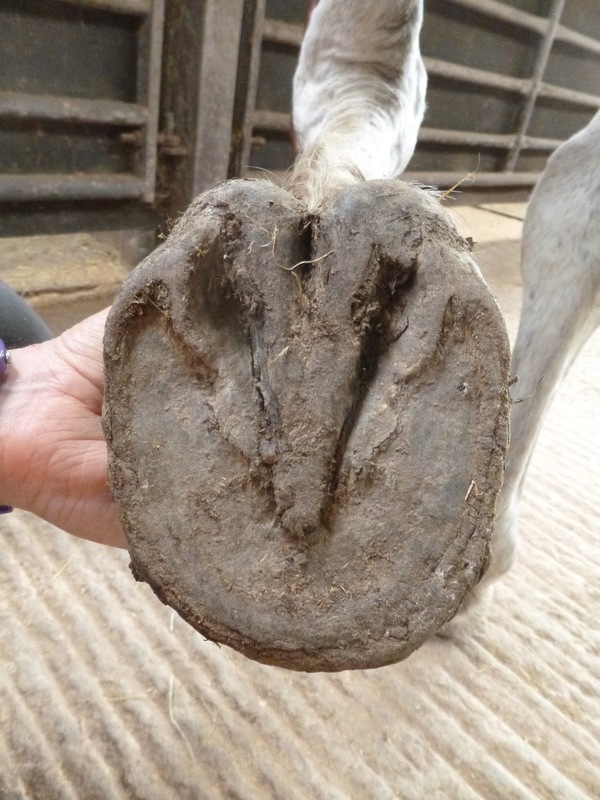 A nice band of new hoof growth and though the new angle is changing less dramatically than in some horses its undoubtedly still there, especially when you look at the back of his foot. 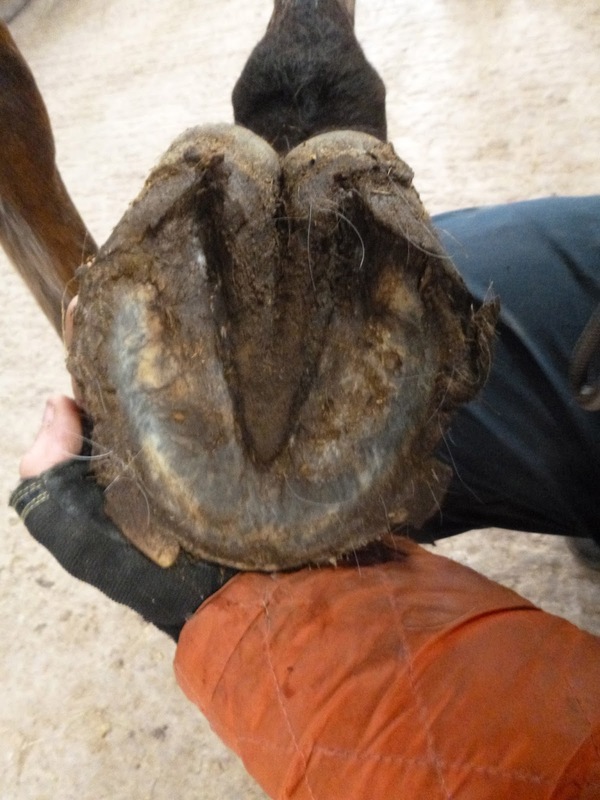 ...to 12 weeks...Better heels, better frog and better concavity, even though he still has lots to do. 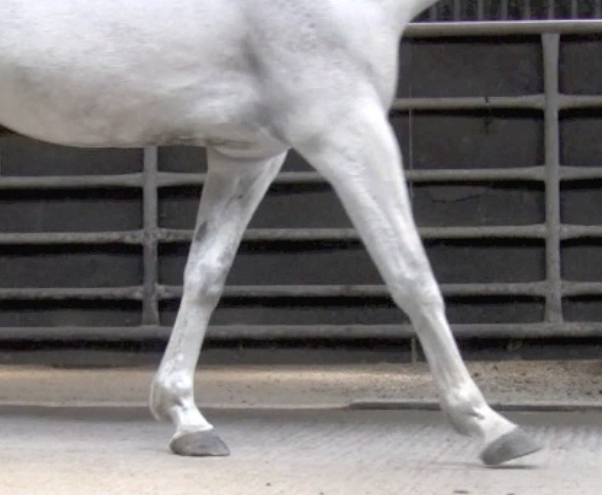 And my favourite - the caudal shot, showing not only how much his foot has developed but how much straighter it is now. Below are stills from his footage over 12 weeks. On arrival, in his shoes he was fully extending but then tipping his foot so instead of landing fully heel first he was only landing flat on this foot - as you can see below, though his LF landing was better. He was also landing laterally and this too has improved as you can see on his 8 week update. We didn't include m/l footage this time - my error - so will add that later. Out of shoes and 8 weeks later Charlie is landing heel first on this foot but its fairly tentative. At 12 weeks the landing is clearer, more confident and more established. Here is Charlie's footage for those who are interested. 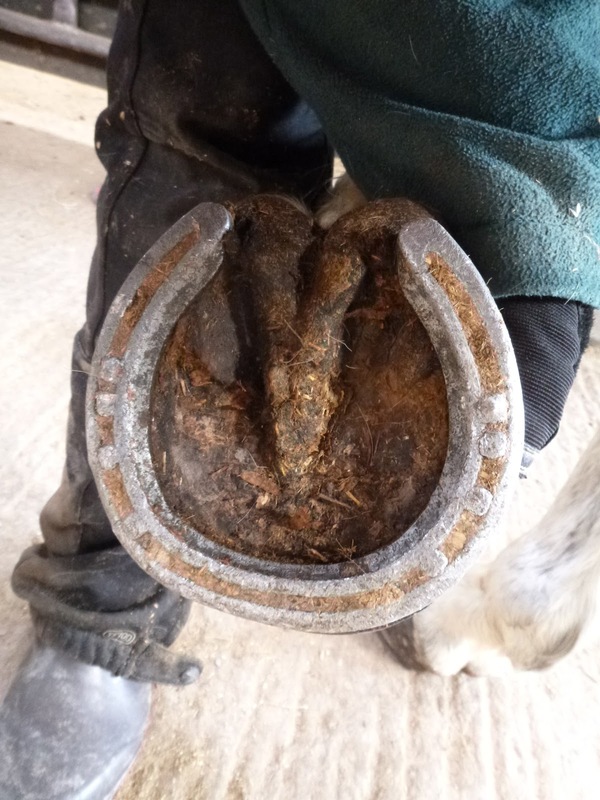 I've been meaning to write a proper post about Bryher for a while, because there is nothing better than bringing on a youngster to get you thinking about how you manage your own horses. I've also been asked about his routine and he certainly deserves his own post, so here goes. 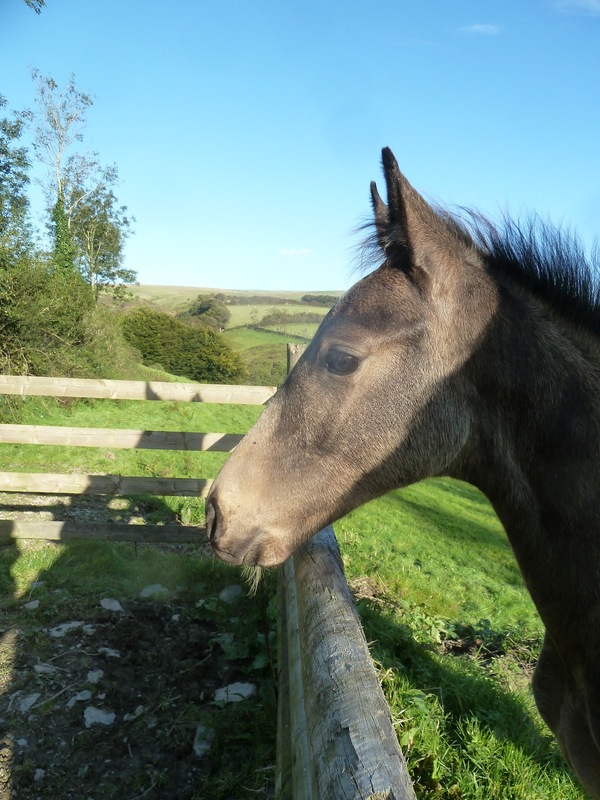 Bryher (and his mum, Tegan) arrived last September, when he was just 10 weeks old, and with a bit of luck he will be here for very many years to come. One thing is for sure - we won't be able to blame anyone else for how he turns out. On his sire's side he is related to our old horse, Ghost - he was by a TB stallion called Hill Farmer who is Bryher's great-great-grandfather - and he seems to have the same bold outlook on life! Like all the horses here, Bryher spends part of his time on the tracks and on tougher terrain, as well as having turnout in the fields. He has access to ad lib haylage when he can't get grass and has the same feed (albeit in smaller quantities) and minerals as the adult horses. He really enjoys coming in for his breakfast and tea, as you can tell (Charlie is in front - always hungry...). He has his own family group, with "older brother" Charlie, patriarch Felix, mad aunt Bailey and of course his mum, who give him confidence but also keep him in line. Its nice to see that he is bold enough to head off on his own, too, once in a while. 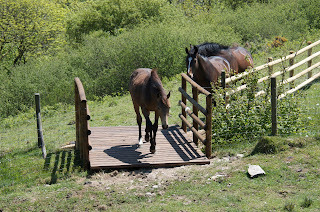 For instance, he was the first to cross the new bridge on his own and weaning him was a non-event as he was already independent and happy to leave his mum and live with the boys. Being on the tracks allows his feet the chance to become much stronger than if he were just in a field and the varied terrain gives him all sorts of challenges, like steep slopes, bridges and banks, which help his proprioception and balance. Being brought in and fed twice a day gives him regular, low key handling, so its no big deal to groom him, pick his feet out or lead him on the ground or from another horse. He is happy to get on the lorry or stand for the vet and has even met the equine dentist. I know some people say that they just want their youngsters to be brought up "naturally" and to just "be a horse". That's often interpreted as basically leaving them in a field until they are big enough and old enough to back but if we look at what it really means to "be a horse" then I think there is a lot more to it - even for a youngster. 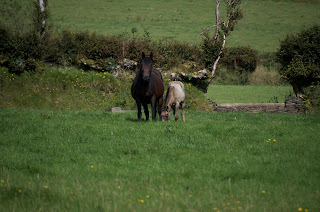 It would be "natural" for Bryher to cover as many miles per day as the adult horses - in the wild foals need to keep up with the herd and not only cover big distances but stay alert and learn all the time. Of course our adult horses are in ridden work and Bryher isn't but even in a domestic environment we can give him the chance to use his brain and his body; we can take him exploring with us when the older horses go out on exercise. We all know how important it is to socialise puppies and expose them to lots of different situations in order for them to be well-adjusted, confident adult dogs. For me, its no different with Bryher and it will make life easier and more rewarding for him later on if he has the chance to learn good "social skills" not just with other horses but with us and the outside world too. 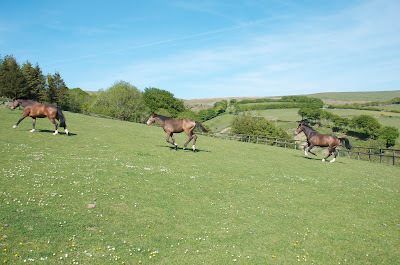 Bryher won't go as far or as fast as the older horses, of course, but extra mileage is not only great for hooves and will enable him to become healthier and stronger, it also makes life more interesting for him. He is a nosy parker and very confident so these sorts of short trips should also stop him from becoming bored and give him the chance to "see the world". New boy Chester arrived at the weekend - fortunately with a lot less trauma than Paddy's departure! 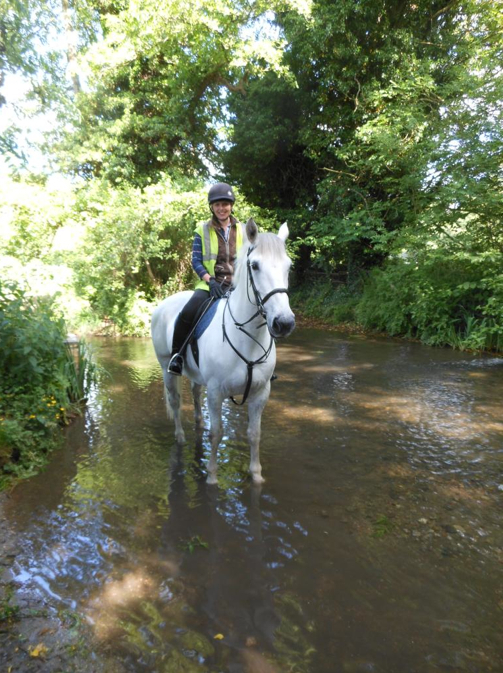 Chester is a 7 yr old Irish Sports Horse who had done very little before he was bought by Louise, his owner. He went lame a couple of months ago and MRI revealed all sorts, including a DDFT lesion on his LF but he had also been diagnosed with bilateral navicular disease and bursitis, mild impar ligament damage and DIP joint synovitis. When you look at his feet its not particularly surprising. His long toes, under-run heels and weak frogs aren't just a cosmetic problem but have led to him landing toe first especially on his RF. 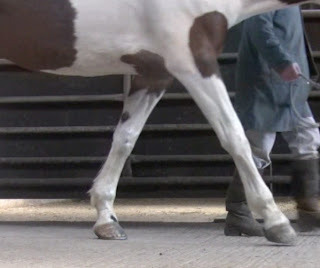 This has most likely been going on for a long while but Chester is a bit like a Duracell bunny and can't stop moving so with some time on the tracks he should start to develop and strengthen his palmar hoof quite quickly. Paddy went home this weekend - it sounds so easy, but in fact nearly everything about his trip home was to give owner Emma a serious headache. 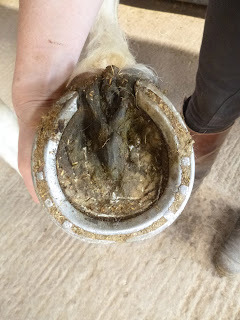 Secondly, our so-called summer had given way to gale force southwesterly winds overnight and Paddy came in on Sunday morning with a sore RH foot, which I would guess he had bruised during overnight shenanigans - the last thing you want when a horse is going home. And then, as of course things always happen in threes, Paddy (who is apparently a normally good traveller) took extreme exception to the substitute lorry - with some justification - and had a complete paddy when loading was suggested to him. 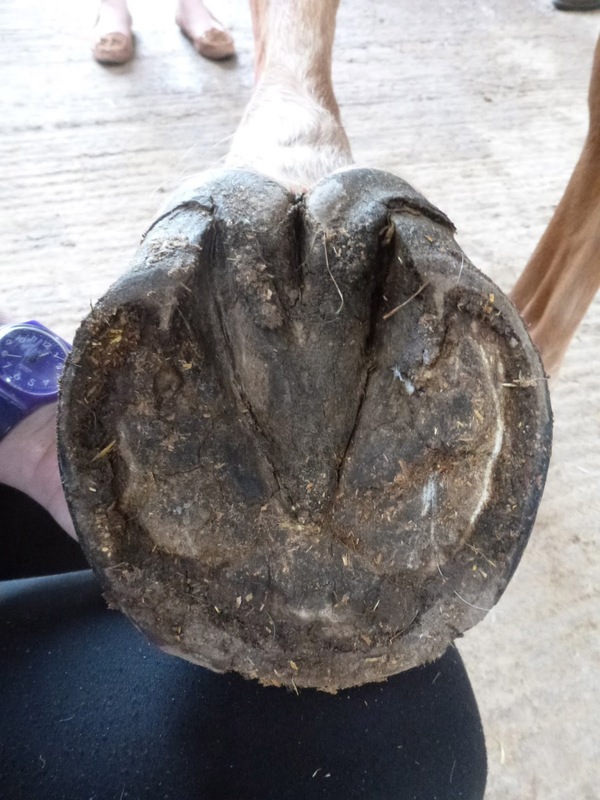 Despite all this drama, and the fact that his bad back has made ridden work impossible, Paddy has made good progress growing new feet. The first photo is on day one and the lower is yesterday, when he went home after 13 weeks. 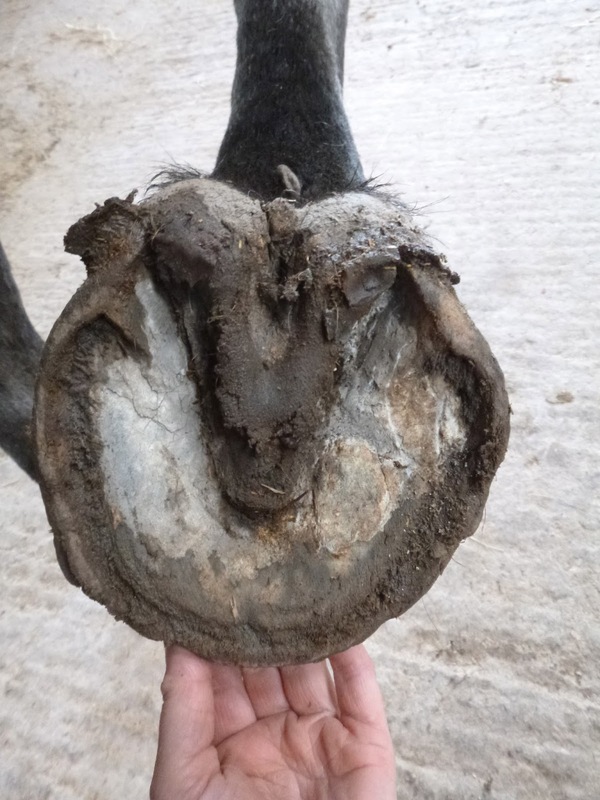 Still a way to go, of course, but lots better and will be even smarter once his new hoof capsule has grown in. This is rather an early update but Helen came to visit Mina at the weekend because she is away for a few weeks after that so we decided to take some new footage and photos even though Mina had only been here for a week. Its interesting to compare this shot of Mina in her reverse shoe (taken about a week before she arrived) with the same foot this weekend. My feeling is that, even only a week out of the shoe, the hairline is starting to be less distorted but time will tell. This is her worse foot - RF - so it will be fascinating to see how she progresses. 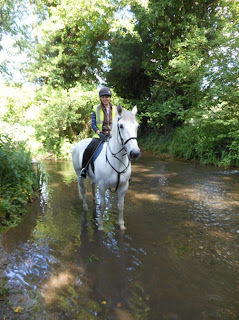 ...then bingo - a half decent foot under there after all! One of the important reasons for assessing her last weekend was because Mina has had a lot to deal with in the last week. She has been on box rest for several months, not getting sounder, and was on 2 bute per day when she arrived. Understandably, we were all concerned with how she would cope with the triple whammy of coming off box-rest, off bute and out of shoes. I'd already agreed with Helen and with vet Chris Tufnell that we would monitor Mina on a weekly basis; if she didn't seem to be coping there would be tough decisions to make. The footage above shows Mina on a trot-up and walk up - the first clips are in shoes and on bute, the second clips are barefoot and having gone "cold turkey". There is lots of work ahead of us, of course, but its fantastic to see that she is already responding well - certainly no worse and possibly slightly better than on day one. Who remembers "Dillon with the Wedges"?! 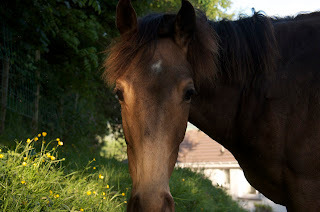 Its hard to know where the time has gone, but 2 years ago a horse called Dillon arrived at Rockley. He had such wacky footwear on that he rapidly was known to all who read the blog as "Dillon with the Wedges". Anyway, the point of this post is to share a fantastic update which I've had from Nicky, sent on Dillon's 2 year anniversary. Dillon has always been a total sweetie but his one foible was crossing water. He HATED it and the more water the more likely he was to make a fuss. So how about this for an anniversary present...! And do you know through all of this varied terrain he just stomped on! More updates as we continue to explore, but my god today has been brilliant and extra specially so as its his barefoot anniversary!" Itsy - the mare in a hurry - has now been here for 6 weeks, give or take. Her owner Amanda is down to see her next week so now seems a good time for an update. This is her worst foot when she arrived. 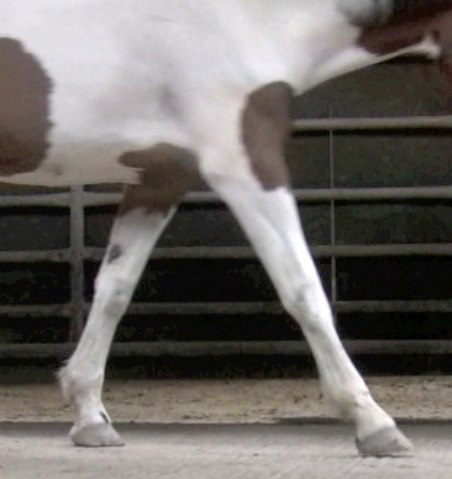 She was lame even in walk but the handy stripe down her foot gives a good indication as to how it is coming back. In this photo the angle of the stripe is acute, her heel is under-run and her toe is long. Three weeks later there is new growth and the nail holes have grown down. The stripe is at a less acute angle and her palmar hoof is more substantial. At six weeks the angle of the stripe is changing again. The nail holes are even further down and she has a much more robust palmar hoof. The sole shots confirm what we can see on the lateral view. The important points on this photo are the heels, bars and frog - then compare them to her feet at 6 weeks, on the photo below. Although this frog looks tatty, that's just because its shedding. 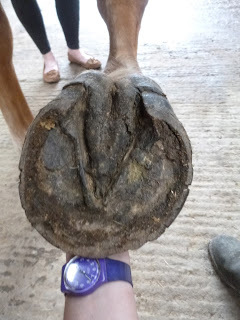 Its actually a much healthier hoof than it was a few weeks ago, as you can see by the fact that the heel buttresses are more even, the heel is less contracted, the frog is beefier and the hoof is much more symmetrical. 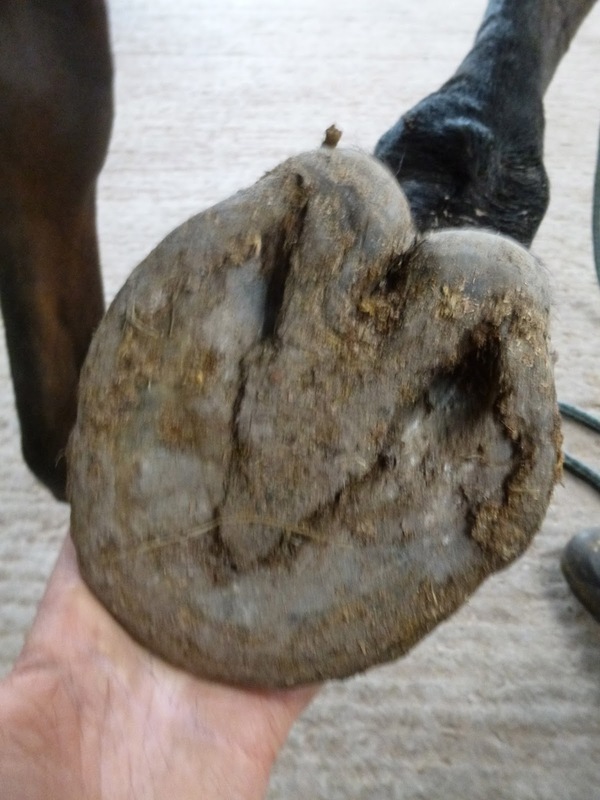 Proof of the pudding, Itsy's landing has improved - she has gone from a toe first to a slight heel first landing and has a better stride length. Itsy's footage is here and I expect more improvement over the next few weeks. Its that time of year again, and after last week's fabulous sunny weather most horse owners are on the watch for foot problems related to grass. Of course, many horses can tolerate or even do well on quite a lot of grass but - as always - it depends on the horse AND it depends on the grass. A healthy horse who can safely graze on old, permanent pasture may go footy within hours if turned out on heavily fertilised rye-grass. 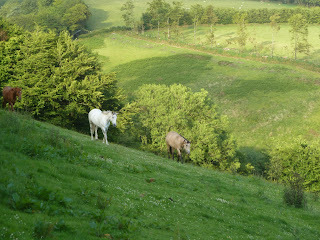 And to make matters even more complicated, its not just the type of grass and how its managed that you need to consider. 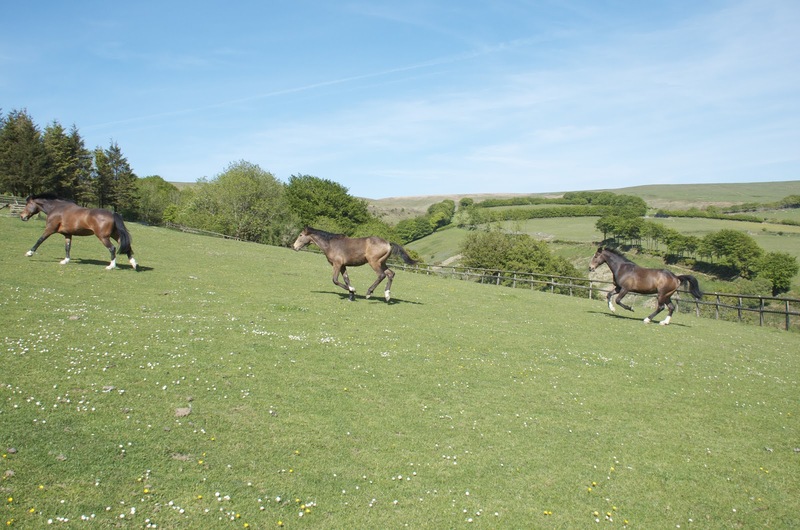 The weather, and even the time of day, can make a difference to sugar levels in grass so that the risk of turning horses out fluctuates considerably. "There has been a lot of discussion on the forums recently about what causes the Laminitis App to show a high risk reading, especially over the past week. Mostly people have been celebrating the arrival of the British summer, enjoying the scorching hot days and long light evenings. 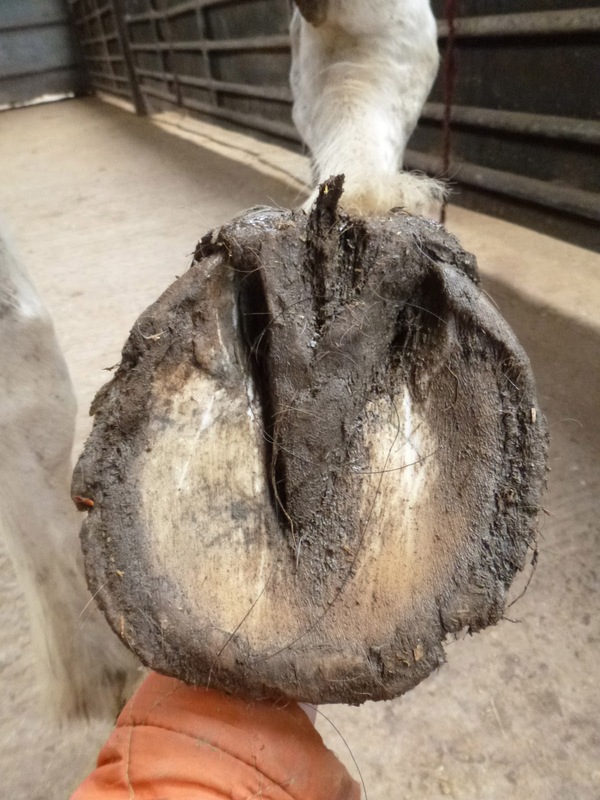 For anyone with a horse prone to laminitis, this can be potentially one of the worst times of the year! Contributing factors over the past week that would result in an increased risk level are: increased daylight hours, clear skies throughout day and night resulting in huge temperature oscillations between day and night. For example some places have seen daytime temperatures in excess of 20ºC and a subsequent fall in temperature down to 4ºC during the early hours of the morning. 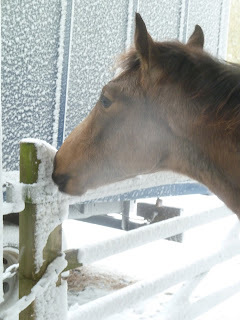 Whilst this may not be enough to shutdown the grasses' ability to respirate completely, it is still enough to slow things down sufficiently to cause the grass to accumulate NSC. Over the past 2 to 3 weeks there has been an increase in the number of reported cases of horses showing signs of being footy as well as cases of laminitis and colic. 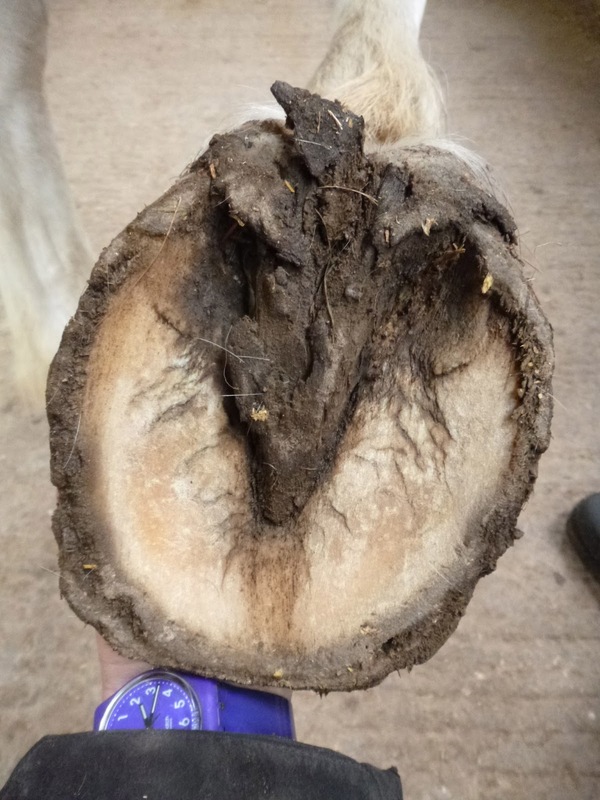 The Laminitis App uses a sophisticated computer model that has been tuned to recognise various weather patterns that have resulted in confirmed laminitis cases. Time and time again whenever a grazing related laminitis case is reported, it can be attributed to a high risk period which had had been predicted by the app. To make this possible weather data from over 300 weather stations located throughout the UK is bought in. 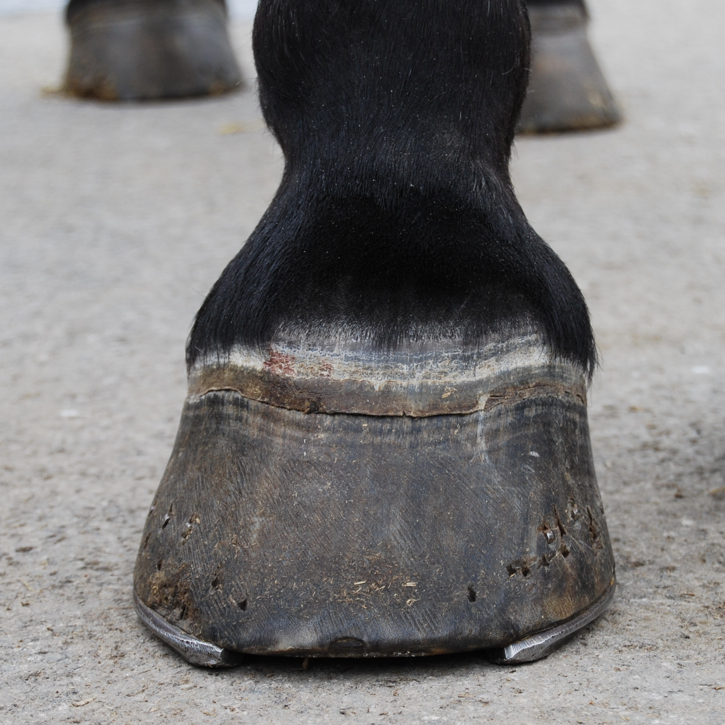 This data is updated on an hourly basis and is re-processed using the computer model to provide an up-to-date laminitis risk indicator. 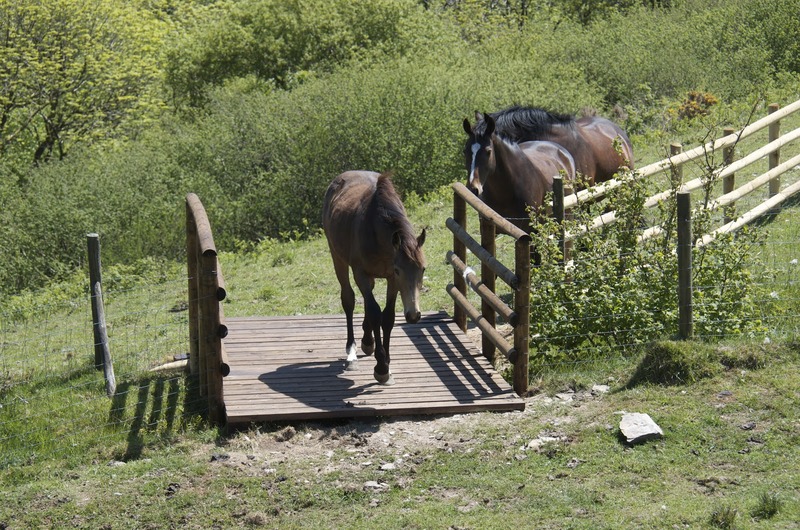 The Laminitis App will default to the nearest weather station to the location you have chosen. If you are monitoring more than one location that are close to one another and have noticed that the risk varies, it is likely that each location is closest to a different weather station. 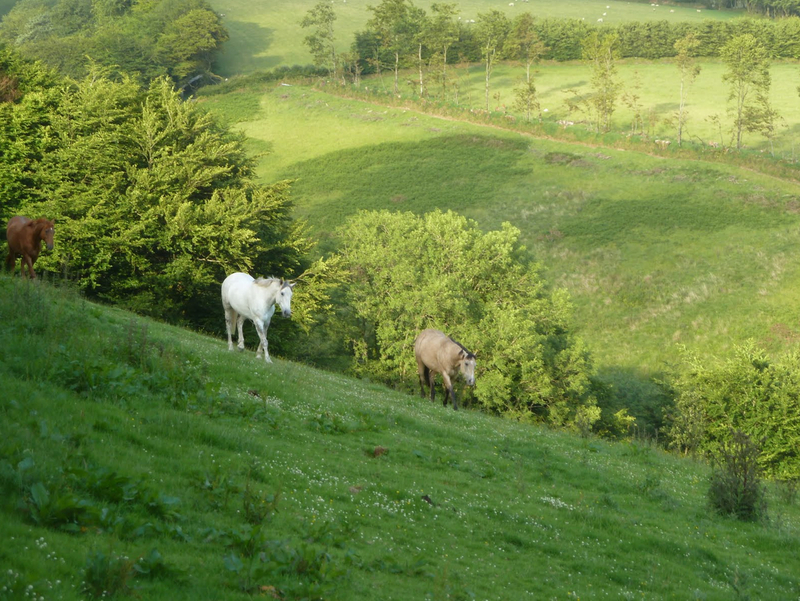 It is important to note that the app is designed purely as a guide to warn you of weather conditions that you may not have noticed yourself; it should be remembered that green doesn’t necessarily mean ‘safe’ but that the grass is most likely behaving as it does when not under stress – horses vary widely in their ability to tolerate grass therefore owners need to understand and decide for themselves what is ‘safe’ or at risk for their horse." 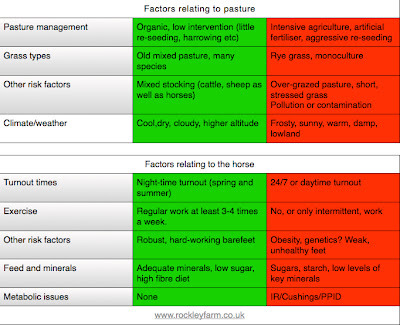 The app has been very helpful in highlighting the risks to owners and yard managers who were perhaps unaware of how volatile UK grass can be, but its best used as an add-on to a good management programme and your horse is always going to be the ultimate authority on whether the grass is safe for him - or not! 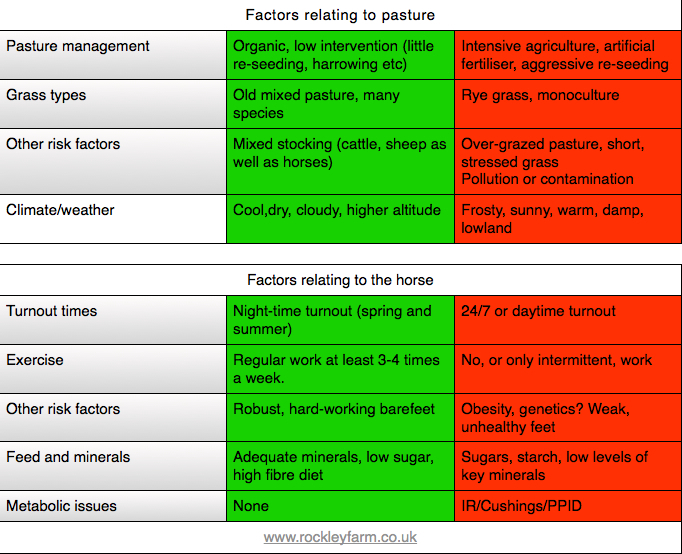 This is a table which I posted last year, giving a general overview of risk levels with grazing. Generally the more of the red factors which apply, the more vigilant you need to be. 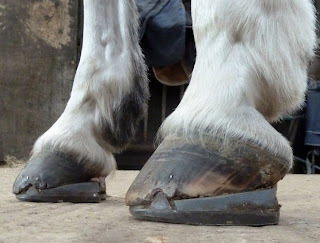 Its important to remember too that its much easier to act at the stage when your horse has become slightly footy than to let the problem develop into - at worst case - full blown laminitis. Take footiness as a warning sign, especially if your horse has previously been sounder, and act quickly. Restrict grazing - if in doubt take your horse off grass completely - and review your feeding plan to ensure that mineral levels are adequate. 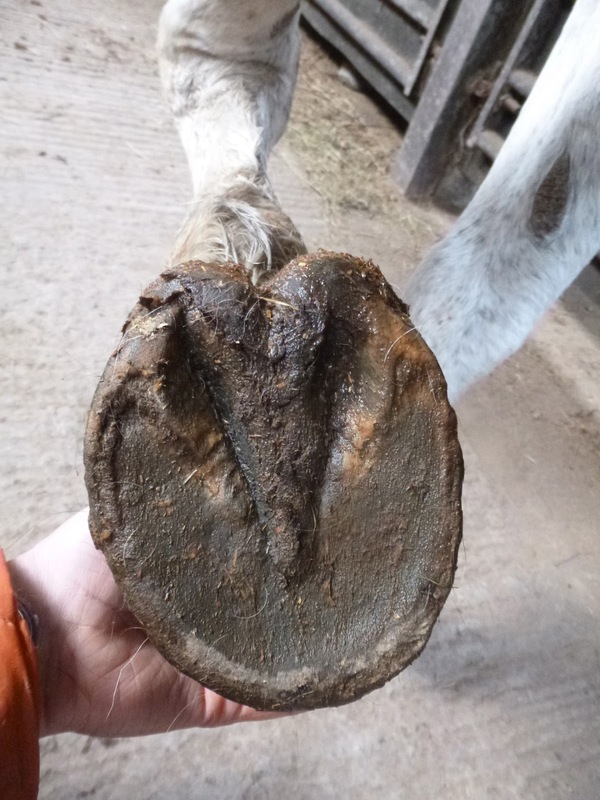 I'll assume anyone reading this blog is already aware of the importance of feeding minerals - something like Progressive Earth's Pro Hoof or Pro Balance - but many horses benefit from additional magnesium oxide and salt at this time of year. 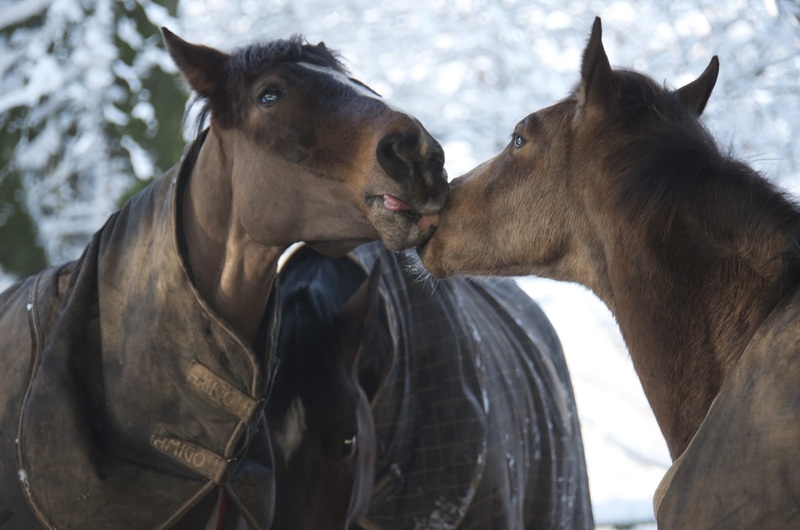 Both can safely be given even if you aren't sure whether your horse needs them - and some owners have also reported success with adding sodium bicarbonate to feeds. 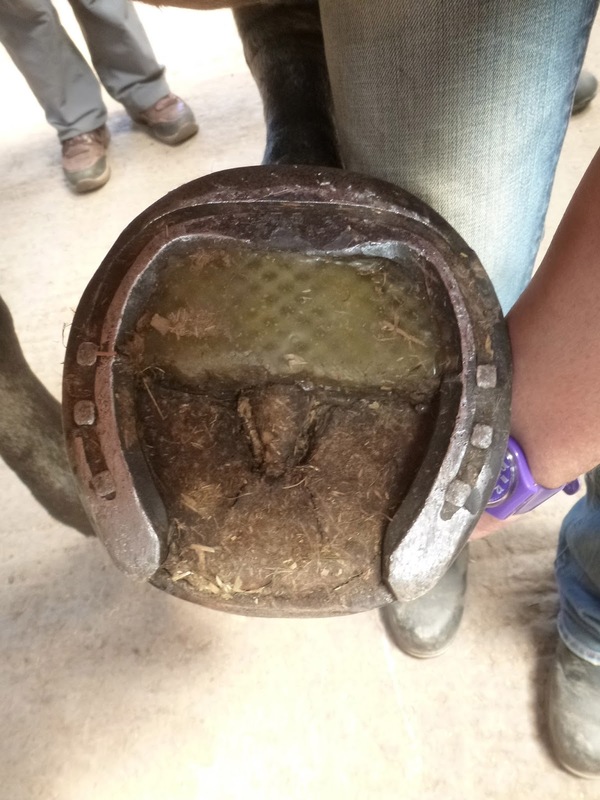 Once you have any footiness under control, reintroduce grazing in a controlled manner - for instance using a grazing muzzle, fencing off a track or restricting turn-out to safer times - at night, or using the laminitis app as a guide to when weather factors are less risky. Good news - you've done it again! Summer - remember what it feels like? !